I have a problem with standover heights on full-sus bikes. All of the bikes I have managed to research appear to have quite high standover heights compared with hardtail bikes, usually around 29in or greater. As my floor to crotch distance is only 28in, you can see I’m likely to suffer rather watery eyes each time I try to straddle the bike. What is the minimum standover height available in a commercially available full-sus bike? Obviously, you’re not alone in your requirements for a low standover height on an adult full-sus bike and you can be sure the mainstream manufacturers are aware of the issue. So why are you not able to find suitable frames you ask? Well because manufacturing a 26inwheeled bike with a 28in or lower standover height is impossible if you want to have a traditionally styled diamond or triangulated front end. Consider the figures — a small-framed 26in-wheeled mtb fitted with 5in travel forks typically gives a height of 35in at the top tube/head tube junction. To give a standover height of 27in requires the top tube to drop 8in vertically along a 10in horizontal length (half the top tube length). To achieve this, the top tube would have to almost run parallel to the down tube as per a traditional ladies bike. We don’t see this design due to its lack of strength as a direct result of the loss of triangulation. It would also create issues with shock placement. The solutions are to remove the top tube by combining it with the down tube to create an oversized single structure, usually hydro-formed or monocoque, or to add a strengthening strut or bend to a severely sloping top tube in an effort to maintain frame strength. I’m not sure at what point some of the manufacturers are measuring their standover heights, as real world measurements don’t match their marketing info! And despite more manufacturers opting for radically sloping top tubes, their small frames still struggle to achieve the standover height you require. A good example of the problem is Giant’s new Trance with its low front end and radically sloping top tube (braced near the seat tube). You’d think this would fit the bill, but despite its low-slung appearance, standover is still 30in. I know that a small Yeti ASR with its V-shaped top tube gives a low 27in standover and obviously there will be others. I hope that, bearing in mind fork choice will affect those quoted standover heights, the above info gives you some ideas as to what to look out for with regard to frame design. After six years of happy riding I can only agree with his words of wisdom. I have upgraded to a Marzocchi fork with ETA and a Fox RL rear shock so I can climb without loss of power and can enjoy rocky descents without losing a single filling. OK, so I don’t race and I don’t do death-defying drop-offs, but neither do I want to and I am able to service every part on the bike myself at very little cost and with few specialist tools. The swingarm pivot bearing has a Marin lifetime guarantee while the rear shock is so placed that it gets very little crud from the back wheel so the single bearing rarely needs anything more than an occasional strip-down. Compare this with more modern bikes where I have counted up to six sets of bearings along with shocks placed directly in the crud firing line. Add to that expensive forks that need specialist servicing and hey, I’m happy with my Marin. While most of us would initially agree with your philosophy, the more you think about it, the less appealing this stance seems. In your own text you state that the previous owner has upgraded the Marin from standard spec and that you have added new front forks and rear shock absorber, featuring additional damping controls. Should you not have stuck to your adage and left things as they were, with the Marin in its standard spec? The irony is that we both agree that you have improved the ride of your bike by adding ‘expensive forks that need specialist servicing’ and a multi-functional rear shock that will also need specialist servicing. Your comments on suspension frame design are also too general and simplistic for me to agree with. Do Marin swingarm bearings last a lifetime? No. Is the bearing cheap enough for Marin to replace under warranty? Yes. Do all multi-linkage frames require more maintenance than single pivots? No, although some do. I could go on in a similar way about each point you raised relating to single pivot verses multi pivot. The truth is the design and manufacture of a suspension frame is about compromise and always will be, since the customers’ as well as the manufacturers’ own views on how that compromise should be reached vary wildly. One man’s freeride is another’s XC and one man’s ‘over-complicated design’ is another’s extra perform-ance for a little extra maintenance. 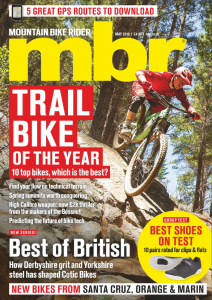 If keeping it simple really rang true, would we have seen the development of gears, suspension forks, disc brakes, full-sus frames, tubeless tyres? Or would we be loading our rigid, singlespeed, caliper-braked bikes onto the back of our Model T ready for a photoshoot with a Box Brownie! Change or evolution of a product is good and just like in nature, natural selection will ensure only the strong survive. I have a Klein Attitude Comp ’99 model with V-brakes and want to upgrade to Hope Minis. You will know that the Klein has rear chainstay-mounted caliper brackets and I have seen a2z produce an adaptor of 22mm size which will fit this. Has anyone any experience of fitting disc brakes to their bike with this system or what have they done to upgrade their Klein/Trek to disc brakes? feature larger dropouts as this gives the adaptor more to clamp against and helps reduce flex. Although the Klein features quite a small dropout, I feel you will still be able to achieve a relatively solid fixing. A word of caution: do not bolt a further adaptor, ie plus 20mm or plus 40mm, onto the a2z mount to try to run a bigger rear disc as this will overload both the universal mount and your frame. 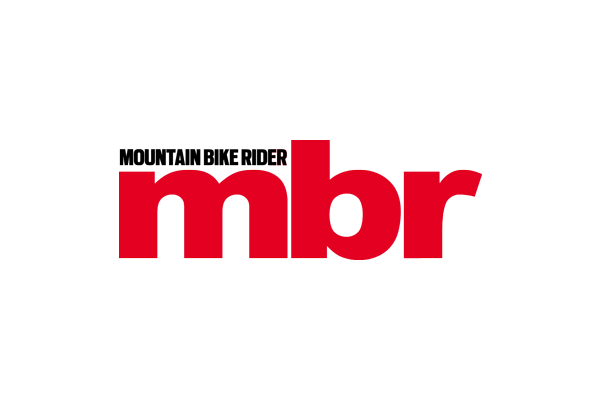 As an avid reader of mbr I wonder if you could offer me some advice. I am looking for an independent engineering firm to test a failed Storck Carbon Fibre frame. Do you have any contact details I might be able to exploit (I have no idea where to start). In short, my frame failed on its second ride (snapped top tube) and Storck have failed to pay for a replacement as they believe it was a brake lever hitting the top tube or an over-tightened workstand clamp that caused the damage, both of which were impossible (I used headset spacers and I do not have a workstand). My next move is to commission an independent assessment of the frame and then take the company to court for a refund. structure — which is obviously Storck’s opinion in this case. The other element an expert may have to assess is whether the frame was designed correctly to ensure it was fit for the purpose it was designed for. The nature of bicycle design and Storck’s choice of material means that this is going to be a very hard question to give a definitive answer on. Has all the correspondence with Storck been via telephone or, more to the point, has Storck had the opportunity to see the broken frame either via email photos or in person? Being able to see a product can allow someone to make a more informed judgment. If they have seen it, then consulting with a qualified expert is indeed the next step. As far as I am aware there is presently no independent lab available to conduct such an assessment, but thanks to the UK’s aerospace and flourishing motor-sport industries, the country has more than its fair share of composite experts in the commercial sector. You should not forget the academic side either, with our universities also at the forefront of composite knowledge acquisition. I do have some contacts both on the motorsport side and on the academic side, and if you email me or contact me direct via Ride-On, then I will try to put you in touch with the right people.